Neeraj Pandey-directed and Akshay Kumar-starrer Special 26 is a con artist drama based on a real-life incident. This week saw the country’s premier investigative agency Central Bureau of Investigation (CBI) make headlines for all the wrong reasons. Some satirically called it a CBI vs CBI drama with its top two officers being investigated for charges of bribery and corruption. 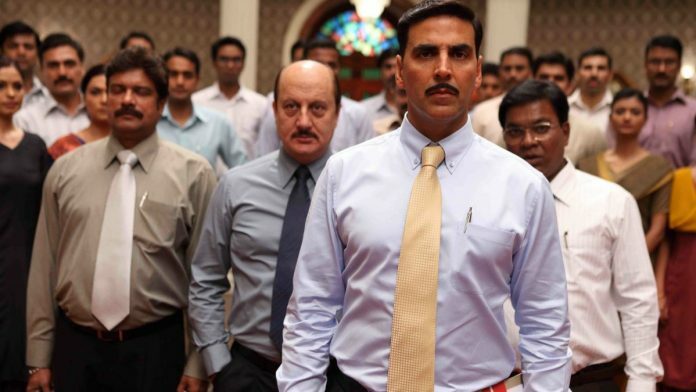 The power corridors of our investigative agencies have been used as a plot several times by Bollywood, but in 2013 it rolled out a fun-filled and acclaimed con artist drama on the CBI called Special 26. Almost like a premonition, Special 26 shows the CBI investigating itself, or rather a group carrying out fake raids in its name. Directed by Neeraj Pandey, the movie is based on the 1987 heist of the Opera House branch of Tribhovandas Bhimji Zaveri & Sons Jewellers in Mumbai. Special 26 starring Akshay Kumar (Ajay), Anupam Kher (Sharma ji), Manoj Bajpayee (Wasim) and Jimmy Sheirgill (Ranveer Singh) shows the riveting story of a group of four men who looted corrupt businessmen and politicians across the country posing as the CBI. Set in the 1980s, the movie takes off with a CBI raid being conducted in New Delhi. A pencil-moustached, sleeveless-cardigan wearing Akshay Kumar and Anupam Kher pose as typical CBI officers and rush to a politician’s house on Akbar Road with determination and purpose. Several ceiling pokes, paper scattering and lock-breaking later, the group of four hordes the illegally-stashed money and leave behind police officer Jimmy Sheirgill and his assistant played by Divya Dutta. The CBI inspector and his entourage promise to come back with the FIR. Up to this point, the film reeks of honesty and patriotism with ‘desh ke aage minister kya chees hai’ dialogue from Kher. Later, it is revealed to us that the honesty is indeed too good to be true and that these four men are in fact con artists. The motley crew of conmen headed by Akshay Kumar’s character decide to make their final heist in Mumbai. By this time, the real CBI has been alerted of this fake group. Enter Manoj Bajpayee (Wasim), the honest cop who is respected, honoured but never really promoted. He makes it his aim to capture this gang. The CBI starts off its investigation by visiting the politician’s house and is introduced by Sheirgill to the minister as “CBI, asli waale”. The final Mumbai heist sees Akshay Kumar prepare by organising a walk-in interview calling “50 dynamic graduates” to be a part of the CBI. A round of interviews later, the select 26 is told that they will participate in a raid the next day. By this time, the real CBI has been parroted the plan by a threatened Sharma ji. The CBI now forms its own plan to capture the group red-handed but are outsmarted in the final bid, much like the original robbery, which was never solved. The fake CBI walks away with ease while the ‘asli waale’ become the laughing stock. The film has five romantic songs to its credit, but the only song to have outlasted the film is Kaun Mera where we see a rosy-eyed Akshay falling for his neighbour, played by actress Kajal Aggarwal. She, ironically, is aware of the fake raids conducted by her lover but is still willing to elope with him, never mind the marriage preparations being made by her family. Akshay Kumar, being the common man’s hero, says, “Kyun apne baap ka PF barbad kar rahi ho”. Director Neeraj Pandey is known for glorifying those who serve the nation through films like Baby and Aiyaary. Special 26, however, was the second film in his early career as a director to glorify a fraud after A Wednesday. Bollywood has based many crime films on real incidents like Shootout at Lokhandwala, Bandit Queen, Once Upon a Time In Mumbai but none put forth the incidents with filters of humour, romance and drama like Special 26. Given the real-life CBI drama going on with its twists, blames, allegations and political fiasco, one can only expect this part of history to be one day turned into a masala movie plot. That is, if they see an end to it.